ungsten Fresnels vary from 150W to 10KW. The Fresnel lens bend the diverging rays of light emitted by the bulb into a controlled beam of light. These tungsten lamps are the base of any set for studio, location & outdoor night scenes at 3200° K.
ungsten Soft Lights offer a soft, smooth field that provides a perfect fill light. 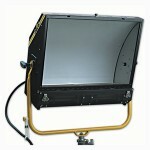 The tungsten soft lights are offered in two profiles. The shallow profile is perfect for studios or location applications, while the larger profile allows for an even light distribution over a larger area and an effecient output. 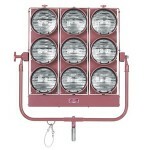 ungsten Open Face Lights are lightweight multi-purpose flood/fill light fixtures. 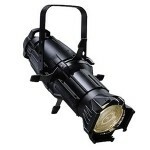 An Open Face Tungsten light output is greater than an aquivalent fressnel, making it a good choice for backlight, large area flood source or as a bounced or diffused light. rute Lights are mainly used to light large areas. The light fixture allows a variable beam coverage & total control over individual light output. 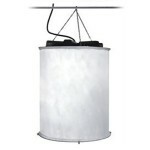 pace lights & Chimera Lanterns are an overhead light source which provide an overall soft scattered light. These can be diffused by silk diffusion clothes & controlled by black gobos specificly fitted for each light fixture. 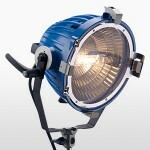 ungsten Spot Lights include Tungsten Follow Spot, Leko, Dedo Light Classic & Pin Spots. 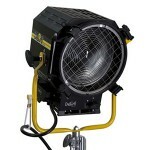 Spot lights provide a directional, confined & narrow hard light. Some fixtures enable controling light beam spread & edge.